When it's time to serve up deliciousness at your next get together crank up the flavor with my easy to make Smoked Salmon Quesadillas. I promise you it will be a crowd pleaser! When it’s time for football, bring out the waffle iron and make my Smoked Salmon Quesadillas! 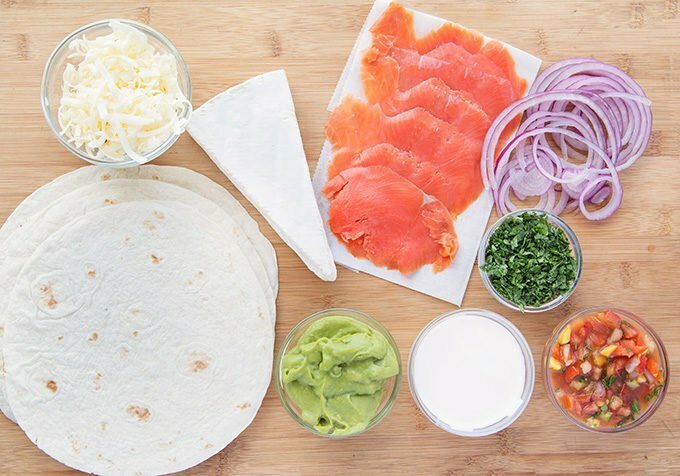 Make your next homegating party an event that all your friends are going to want to attend with my Smoked Salmon Quesadillas and all the toppings everyone loves. Do You Love Watching Football? When it’s football season in my house that means dinner at halftime. And when my friends come over to watch the game I do my best to keep them well fed with easy to make dishes like my Smoked Salmon Quesadillas. I decided to use a waffle iron for my quesadillas because I like waffles and like I quesadillas. But to be perfectly honest, guys just like to make things more interesting. You know boys and their toys. Today, I’m using Mission® Super Soft Flour Tortillas. Not only are they perfect for any dish but the folks at Mission really knows how to make a great product. 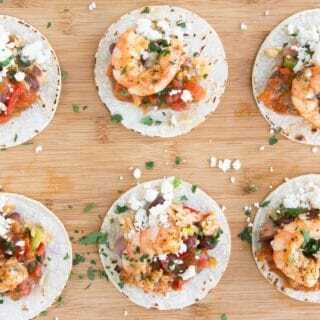 The softness and easy to use tortillas will help make any variety of dish tasty! They are my go-to and I can find them at my local grocer anytime! Mission Super Soft Tortillas are available nationwide, usually in the bread or tortilla aisle. 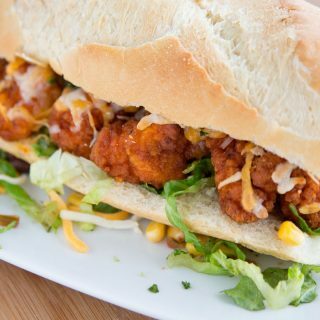 Check out their store locator and find more tasty recipes here, www.MissionSuperSoft.com! Let’s gather our items together for our quesadillas. In chef speak, this is called the mise en place (everything in its place). It’s also a good habit to get into, that way you know if you’re missing any items before you start cooking. Start off by placing a thin slice of Brie and some shredded cheddar on the Mission Super Soft Flour Tortillas. Then add the smoked salmon slices and thinly sliced red onion on top of the Brie. Pre-heat your waffle iron to its hottest setting. When the waffle iron tells you it’s ready, place the folded smoked salmon quesadilla on the preheated waffle iron and close the lid. Apply just a little pressure for 30 seconds or so to get good contact with the grates. Depending upon your waffle iron this could take 3-4 minutes. Chef Dennis Tips* If you have interchangeable plates for the waffle iron, you can also do them on the flat griddle sides. Or alternatively just use a large skillet or griddle on your stovetop. 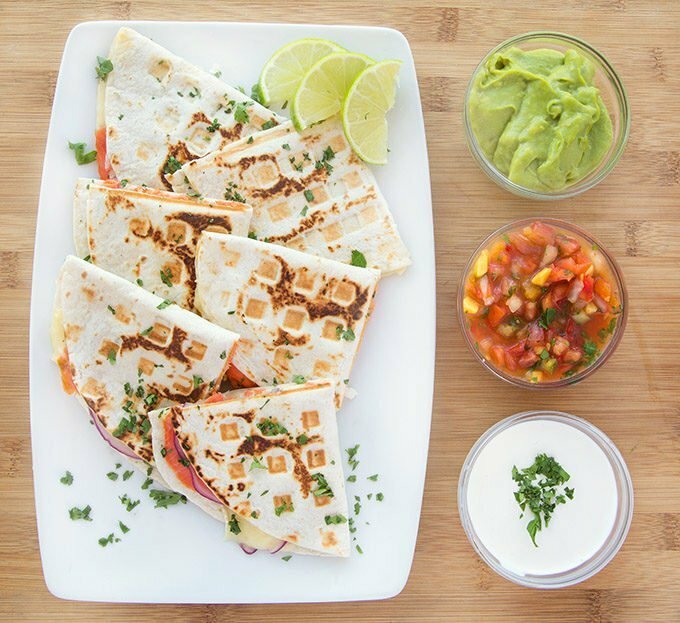 You can’t imagine just how delicious these quesadillas are. 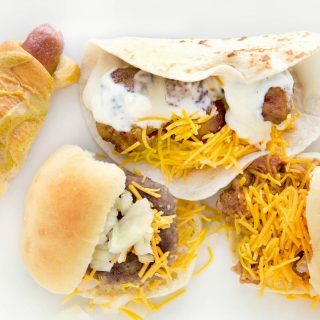 You may even get more of the wives and girlfriends over to watch the football game with you when you serve them something this creative and delicious. You could even tell them you came up with the idea all by yourself, I don’t mind. 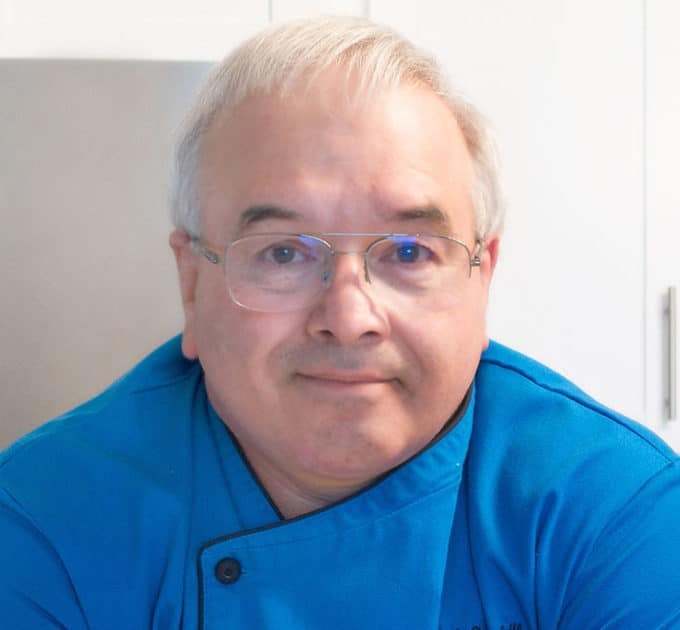 Chef Dennis Tips* If everyone on your guest list isn’t a fan of smoked salmon, set a quesadilla bar with other protein options and allow everyone to build their own quesadillas. I’m getting really hungry looking at these quesadillas. The brie, smoked salmon and red onion complimented each other perfectly. I added cheddar because I love cheese and they were my quesadillas. Feel free to use your favorite cheese or just brie if you like. Recipes are guidelines, it’s okay to color outside of the lines and make the recipe your very own. 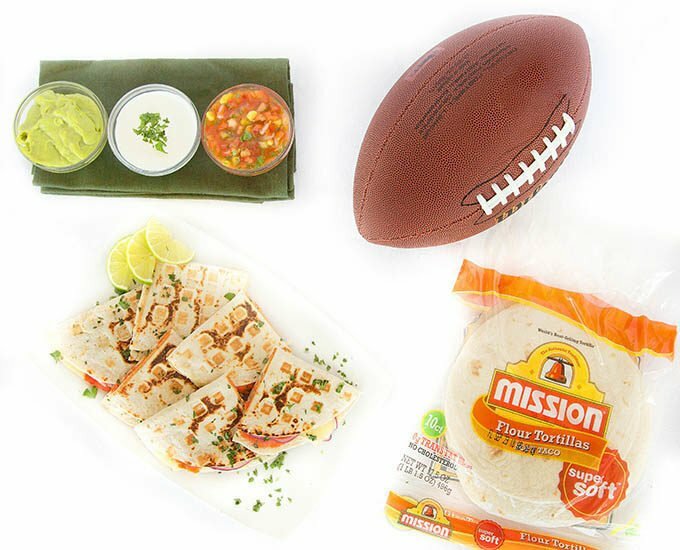 If you’re looking for another delicious homegating dish to serve to your friends when they come over to watch the game, check out my Grilled Chicken Fajitas Bar. Preheat waffle iron to the highest setting. Alternatively, you can do the quesadillas on the stove top. 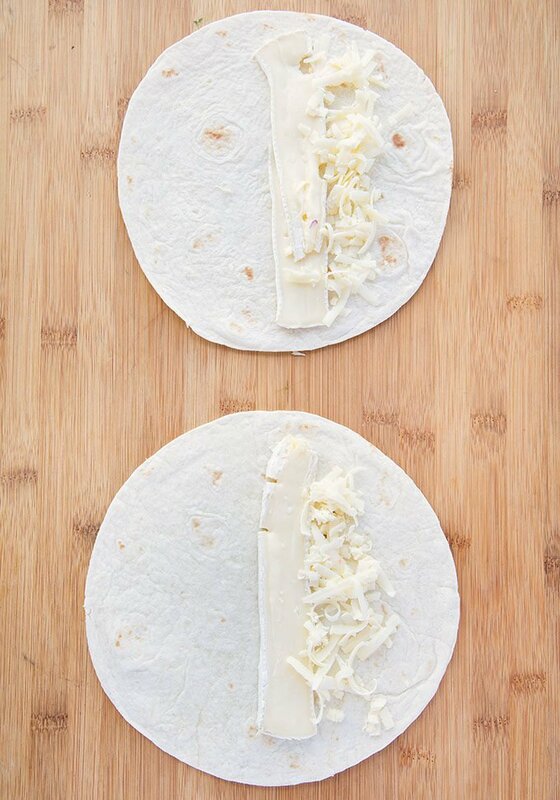 Place brie and cheddar on half of the Mission flour tortilla. Leave half of the tortilla uncovered. Place smoked salmon slices on top of the cheese followed by thinly sliced red onion. 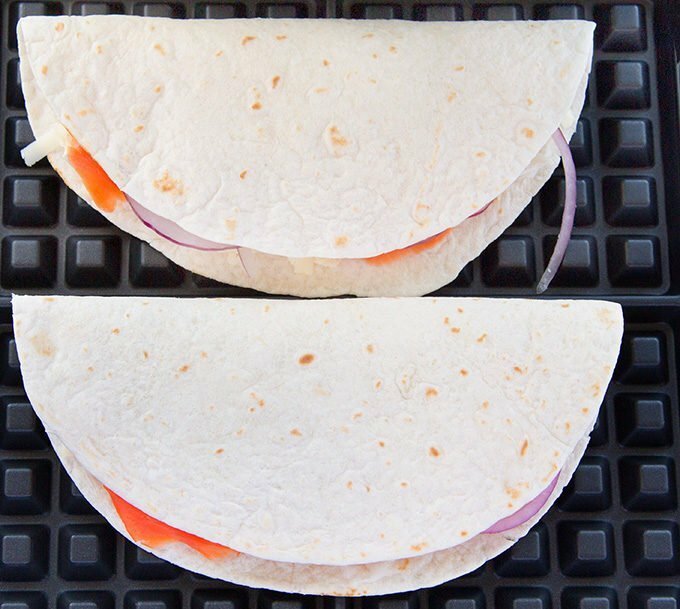 Fold tortillas in half to make the quesadilla. Place quesadillas on a preheated waffle iron, close lid and allow to cook for 3-4 minutes depending upon your waffle maker. Carefully remove the quesadillas from the waffle maker to a platter for serving. 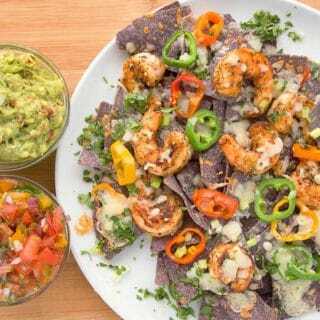 Serve while hot with guacamole, salsa and crema. In a mixing bowl add tomato, peach, mango, onion, cilantro and lime juice. Season with sea salt to taste. * If you like heat feel free to add some diced jalapeno or hot sauce. Can we use a panini press? I love smoked salmon, and I can get a box of vacuum pack smoked salmon in small servings at Costco now. I’m going to try these with goat cheese and another with Boursin, Shallot and Chive (my favorite). wow, wow! these look incredible. the photos are amazing too. would love to give these a try! Wow this is a really killer recipe. I would really love to break out some of my old tools to make this. Yum! I love that you threw some peach in the mix. I’ve never thought to make salmon quesadillas — delicious! I never thought we can make quesadillas in waffle maker. you gave me an idea. That Salmon quesadillas looks really yum. I had good smoked salmon while in Stockholm. Missing that taste here. How come I’ve never thought of doing it this way. This looks amazing and it’s easy to make and follow too. I love quesadillas! I could eat them every day. Never tried them with smoked salmon, but I’d love to. I love quesadillas of any kind and this one sounds and looks amazing!! I need to try this for myself!! Ok, you win the tailgating, er, homegating prize! These look incredible. I’ll be making them for my family soon. I have never thought of using a waffle iron to make quesadillas before. THese look really good and super unique. 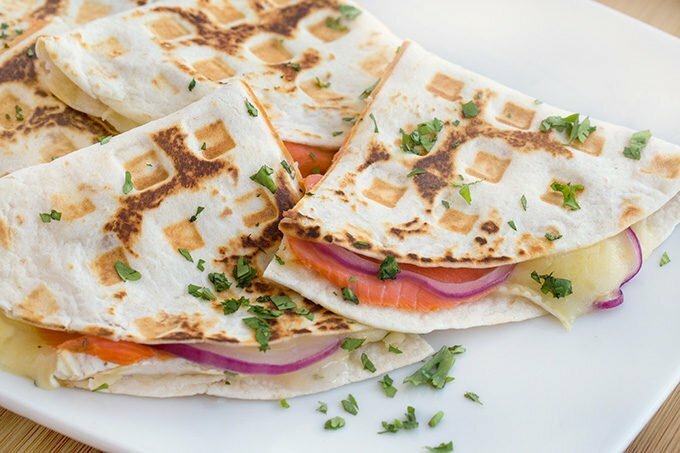 Not much of a smoked salmon lover but these quesadillas would make a nice appetizer that I am sure my family and friends would love. I’m thinking a nice pinot or rose’ would go well with these. Yummy! These look amazing! I have never heard of using a waffle iron for quesadillas before but I love it! What a great idea to use your waffle iron to make these! I bet my husband would love them. Hmmm…. I’ve got two whole salmon that I brought home from my trip to Alaska, two smokers ready to fire up at a moments notice, and two waffle irons… Maybe I should do a side by side and compare the results. I thought I needed a break from salmon for a hot minute before I read this. I have been wanting some quesadillas since last week but I didn’t heard about the flavor of smoked salmon. I’ll be saving this recipe so I could eventually this one. This recipe looks delicious. It would be perfect to include on the menu for our night football night. This is such a fabulous idea. I would never think to use a waffle iron, but it’s smart! We love to have quesadillas, so I’ll be trying this for sure. Yum! This is such a genius idea! I would never think to use my waffle iron to make smoked salmon quesadillas. 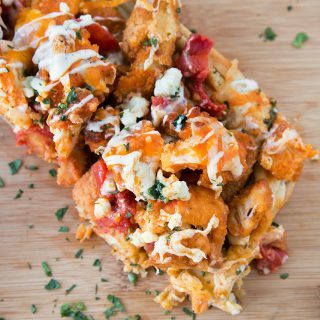 I need to make these when I have friends over to watch football this weekend. This is my kind of party food! What a genius idea! I never thought to break out the waffle iron for quesadillas! My kids would love if I did this for an afternoon weekend lunch. Going to try it out this weekend! I’ve never thought about using my waffle iron for anything but waffles. What a great idea I am totally going to do this. It looks absolutely delicious. omg this looks incredible. I’ve never had smoked salmon in a quesadilla! Have you tried Kite Hill Jalapeno cream cheese? Its a cream cheese alternative (you would never know it though) its delicious. I think it would make this quesadilla recipe EVEN better! I have not heard of that brand of cream cheese but it sounds like a delightful addition! What a clever idea! I’ve never thought of using my waffle iron for quesadillas, but you’re right – it makes total sense! Thanks for the great tip! This is a brilliant idea! We have a waffle maker and we do breakfast with it a lot, but I’ve been looking for ways to make savory food in it as well! Thank you for sharing. Wow, these look so good! 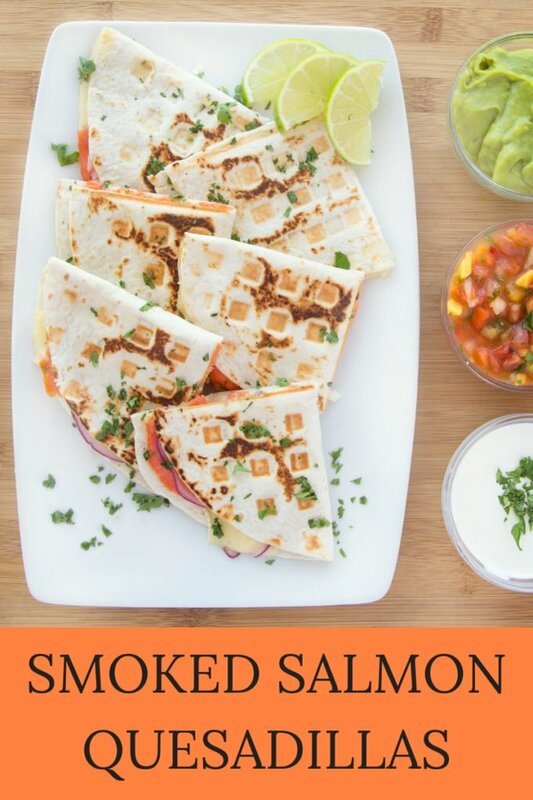 I LOVE quesadillas – have never tried putting salmon in them though… I will give it a go! I love to do a build-your-own nacho station on game days, but this looks like a great way to change things up! I’ve only ever used my waffle maker for waffles. Lol. I guess I need to branch out. This delicious dish is calling my name. This will be our dinner on Friday. Thanks for sharing. Ohhhh I’m a total quesadilla snob! These look incredible! Makes this pregnant lady all sorts of hungry again for 2nd dinner….. This is absolutely brilliant! My daughter just got a new waffle iron and has been trying to find unique, savory recipes for it. Seems like this might be her new go-to! Ooh, I never thought of using the waffle maker for quesadillas! This is such a brilliant idea. 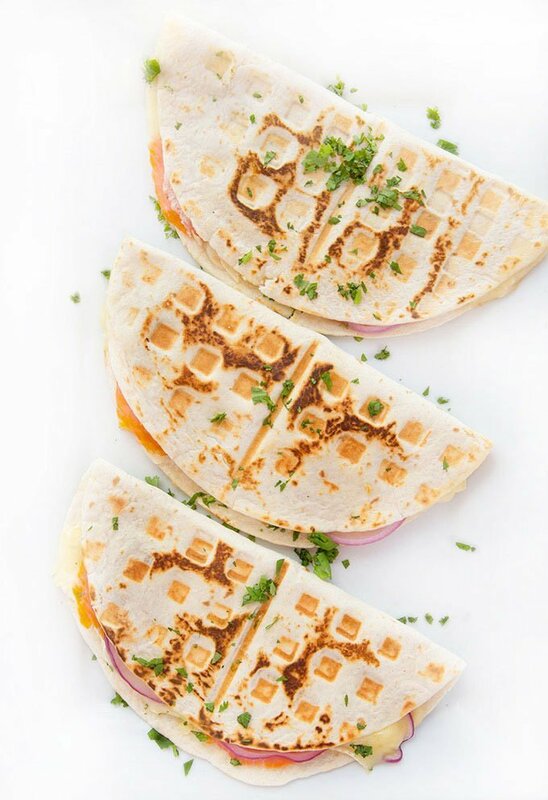 My boys love cheese quesadillas for lunch, I’ll have to try this next time! Ummm YES! 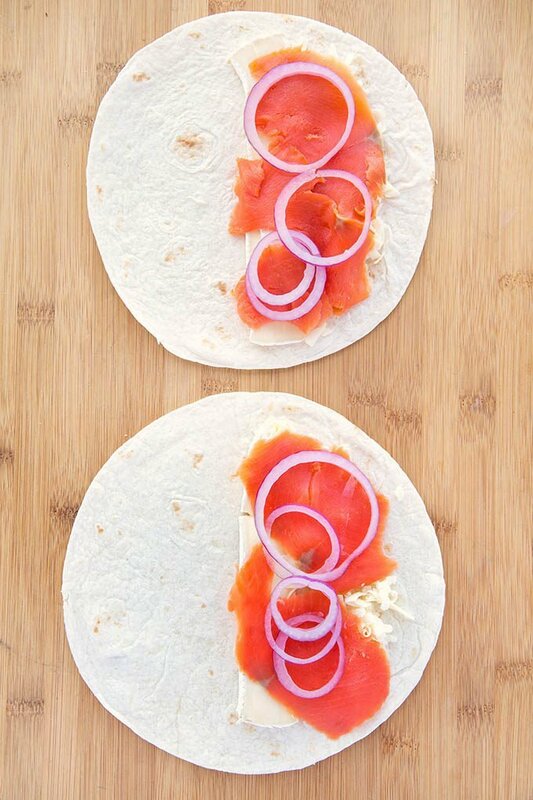 Totally down for some salmon quesadillas! I have never thought to use my waffle iron though, definitely will try it as it’s easier than that stove sometimes! Thank you Angela, they really turned out well on the waffle iron and all my friends loved them! What a brilliant idea! I never thought of usong a waffle iron to make quesadillas! 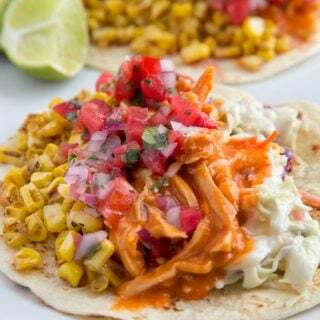 I will recreate a vegan version of those and I’m sure it will be a crowd pleaser! Thank you! I feel sorry for my waffle iron since it doesn’t get much use so I thought this would be a fun way to use it.